This blog post was written in April 2014, when Amanda Hill was director of strategic development, Shelby Tidwell was an intern and Three Box was still Lewis Public Relations. Amid the flurry of debates about public relations internships—virtual vs. on-site, full-time vs. part-time, paid vs. unpaid, etc.—one point of discussion often gets shoved under the rug…Mentorship. Public relations students and recent graduates know that internships are important to launch their careers. At Three Box, though, we believe even more in the power of mentorship. 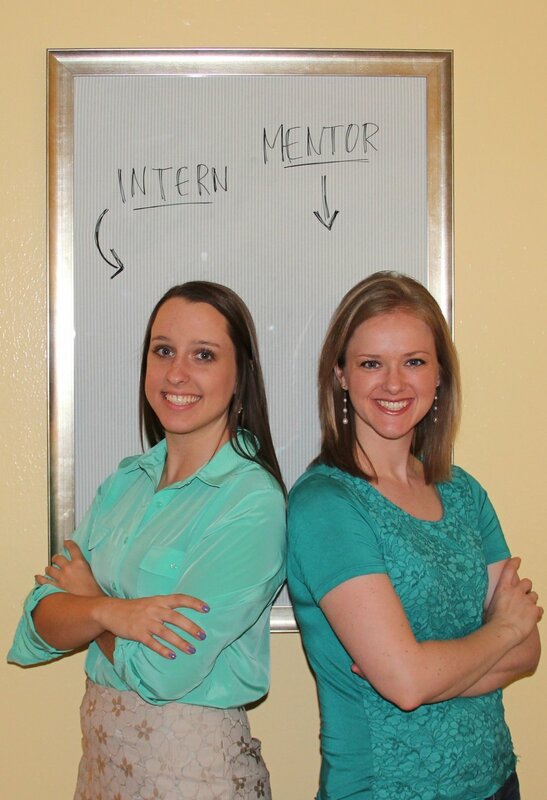 Below, Three Box's Amanda Hill (AH), principal, and Shelby Tidwell (ST), senior associate, talk about why mentorship is valuable to both the young professional and the agency. What’s the value of a PR internship? ST: Internships give young professionals like me a chance to get practical, hands-on experience in our field. Time in the classroom has exposed me to public relations theories and principles, but my internship experience is what has allowed me to jump in and contribute to real PR programs. AH: Internships really are a “try before you buy” opportunity for both sides. For the student, an internship gives them a practical look at what day-to-day life in PR is really all about. And from the agency’s perspective, we have the opportunity to invest in a young professional and help them learn to navigate the fast-paced agency environment. Is there a difference between internships and mentorship? AH: Definitely. In a mentor-based relationship, an intern should take on tasks, work independently and contribute to the agency as they learn and grow under the guidance of a seasoned professional. They’re learning about a career in PR, but also about responsibility, teamwork and collaboration. That’s where the company gains—by preparing someone to possess the qualities and skills the agency looks for in a full-time employee. For a seasoned team, an eager intern can bring a fresh perspective to the table. If that willingness to learn is encouraged by a mentor-figure in the agency, the intern can gain invaluable experience along the way. ST: I see mentorship as someone investing in me and taking an interest in my professional development. During my time as an intern, Amanda and I worked together to tackle real program work for our clients. I was able to contribute to a variety of client and PR activities, which gave me a practical look at life after graduation. It was helpful to have team members who supported me, but also encouraged me to stretch myself beyond my classroom experience. Outside of internships, where else can you find mentorship opportunities? ST: As a student at Baylor, I met several seasoned professionals through our Public Relations Student Society of America (PRSSA) chapter. PRSSA opens doors for students and introduces them to experienced PR professionals from across the country. I was also a member of community and student groups, where I took on roles that enhanced my PR experience. AH: Students and professionals should remember there are lots of avenues for mentorship. At Three Box, several of us regularly speak at PRSSA chapters, university courses and conferences. We also invest in our local Public Relations Society of America chapters—the parent organization of PRSSA—and encourage young professionals to continue a lifelong pursuit of growth. Meaningful mentorship can make the difference for individual students and the future of PR as a profession. There were several people who invested in me during the early years of my career, and now it’s my responsibility and pleasure to give back to the next crop of PR professionals.